Mila is 11 years old and lives in Kitchener, ON. When she was 3 years old she attended a summer dance camp at Dimensions In Dance and has been “hooked” ever since. Mila has been dancing competitively for 7 years. She has studied and performed in Jazz, Tap, Ballet, Hip-hop and Acro. 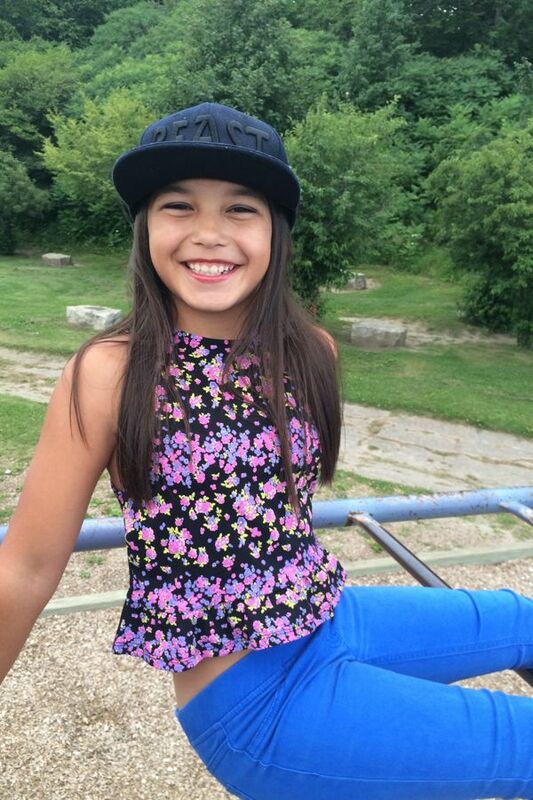 Mila has achieved many accomplishments these last few years which include being in the Toronto Raptors Junior Dance Pak: L’il Ballas where she performed in front of thousands at the Air Canada Centre during Toronto Raptors home games, and winning scholarships and awards in the dance competitions to which she has participated. This year Mila began training with B-Boy Paul “Kaze” Thurton studying in hip-hop, breakdancing and popping and was given the B-Girl name GirlKaze. In her free time Mila enjoys playing soccer with her friends, building Lego, playing video games with her brother, watching television with her family and riding her bike with her little sister.